In honor of South Carolina's awesome 88-81 victory over the Duke Blue Devils (Go Heels!) last night, we thought it might be a good time to dust off this photo we took a few years ago. 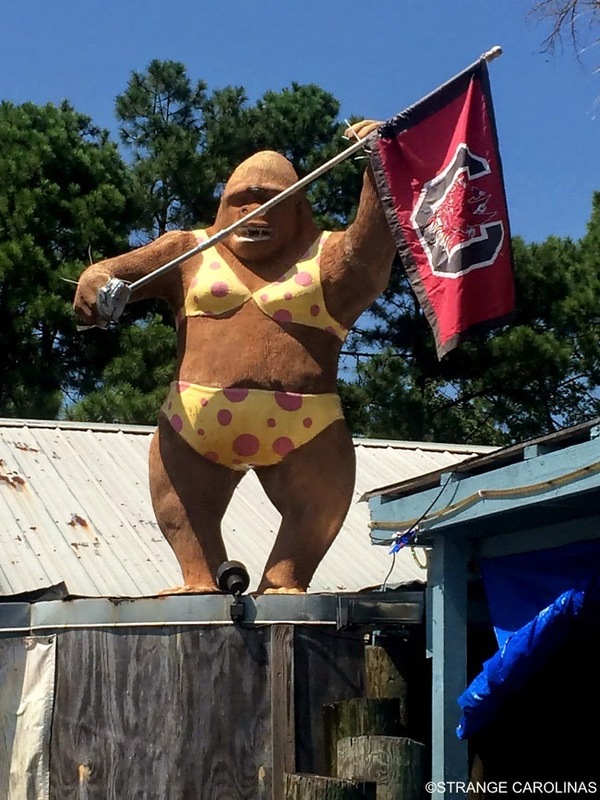 This bikini-clad gorilla, proudly waving a South Carolina Gamecocks flag, stands atop the Sandy Monkey, a bar in Murrells Inlet, South Carolina. Janey mac! Nawth C'walina is the "Tarheels" & South C'walina is the "Gamecocks!" The ghost of Frank Maguire's gonna spook you for that post!